There’s an acronym that is used a lot among stampers– CASE (Copy And Share Everything!) Stamping/scrapping/crafting is meant to be shared and in the stamping world, it’s considered a compliment! So here’s a quick card I whipped upand sent to my downline members. I CASEd the idea from SU Demonstrator Elaine Uhl. I wanted a card that was quick to reproduce and easy to mail (meaning it didn’t use ribbon or bulky embellishments). 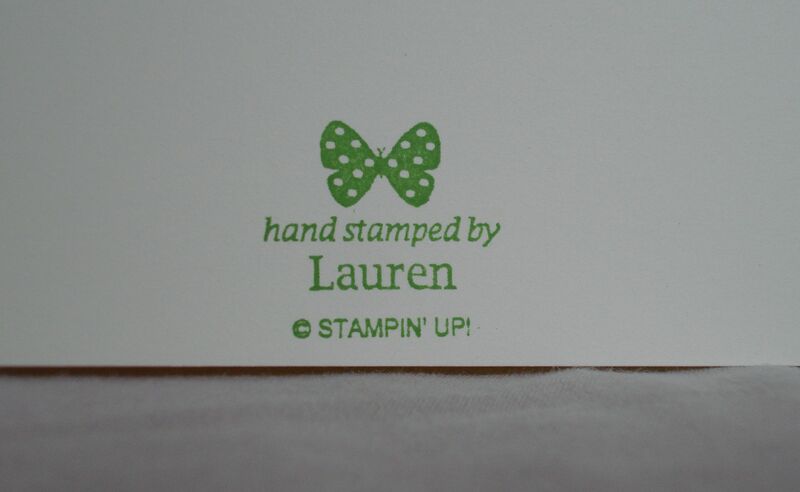 I enjoy her clean layouts and easy-to-recreate stampin style. I dabbled with all five of the new In Colors, but decided Gumball Green was my favorite (although Midnight Muse was a close second) The peacock stamp is from “World Treasures” (pg 98), one of the new stamp sets in the 2012-13 Catalog. 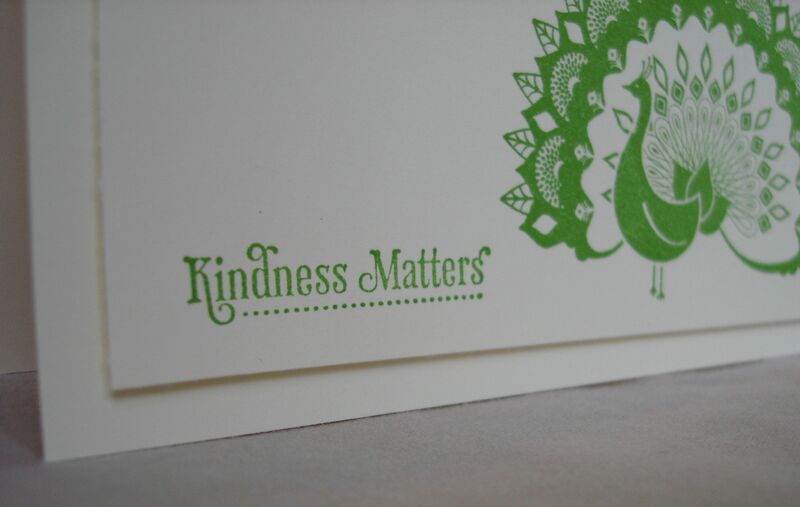 The sentiment is from the set “Kindness Matters” (pg 74), and I thought the font and dotted underline were a good match with the peacock. Of course, I believe no card is complete without dimensionals, so I added a couple in between the layer. Another “must have” in my opinion, is a personalized stamp. You can find them on page 146 in the catalog. I loved the polka-dot butterfly, but unfortunately my full name is 2 letters too long (max of 16 characters for this stamp). So I kept it simple! Tonight is Stamp Club and I’m excited to share the three cards/projects we are making. Be sure to check back tomorrow!